As you may know, fussy cuts are my quilting weapon of choice. I've never been able to turn down a cute animal print or storybook scene. My fixation probably stems from my passion for storytelling and fondness for all things nostalgic. Around the time I finished my fourth quilt, I found myself holding back when it came to my fabric. I don't have a very big collection (small budget, lack of storage space), so I felt the need to think carefully before I used any of my materials, especially the ones I only had tiny pieces of. It's important to balance your desire to preserve your fabrics with the excitement of using them. Here are few ways I find that balance. 1) I organize my scraps in clear bins by color family, but I put my favorite pieces (regardless of color) into my super-special-awesome scrap basket. I carefully consider how and where I will use scraps from the SSA basket. However, I do make an effort to use pieces from the basket in almost every project. 2) Give your scrap some breathing room. Add borders and frames that contrast (but don't compete) with the print you're trying to feature. Low volume is always a nice option. 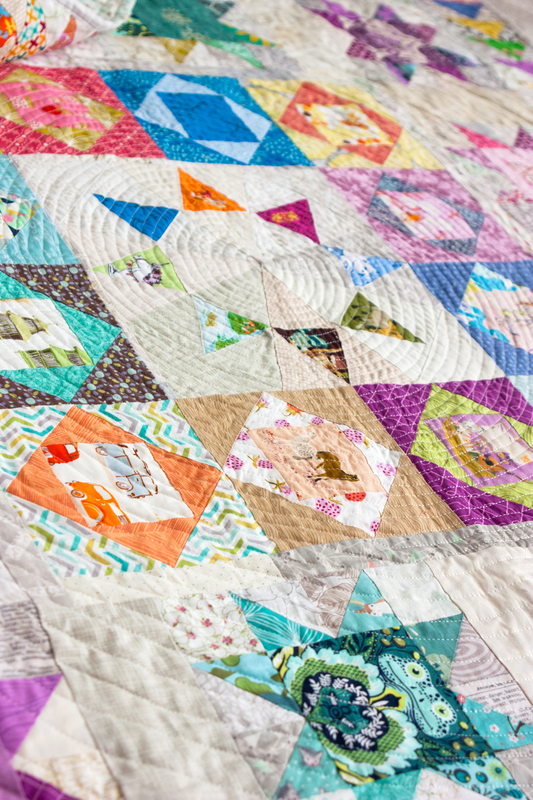 3) If your piece oddly-shaped, try an QAYG bloom block or a paper-pieced pattern that lets you use the most of your scrap. You could also use fusible webbing and turn it into a raw edge appliqué. 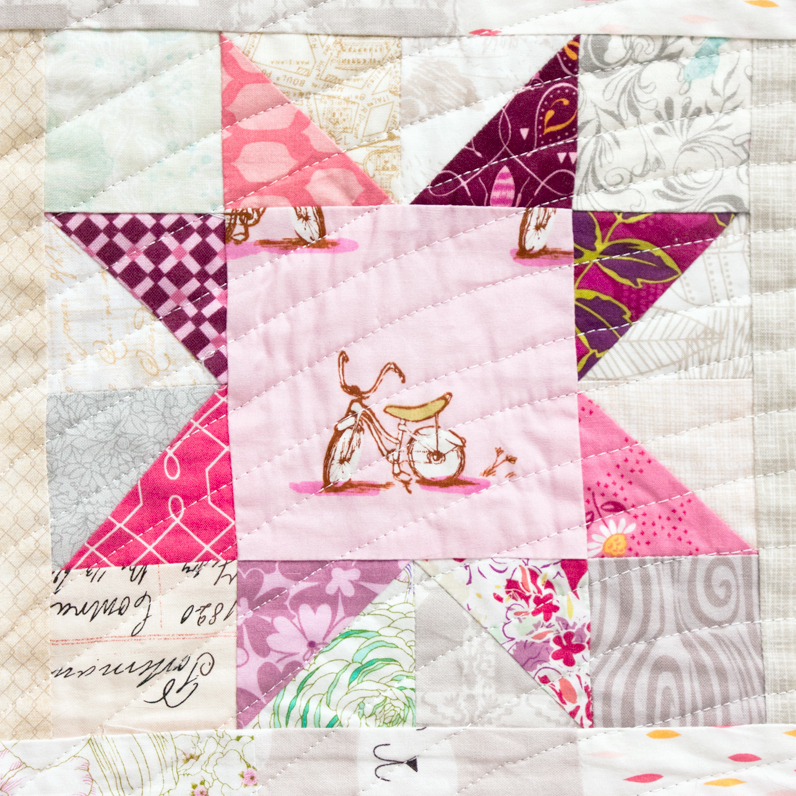 4) For extra special pieces, make a mini quilt or small project to feature a few scraps. Choose supporting fabrics that keep the focus on your treasures! 5) When there are multiple elements that you can fussy cut from a larger scrap, consider which one you choose. I always use my clear quilting ruler to check which “extraction” will be the least destructive to the remaining fabric. I try my best to reduce collateral damage. 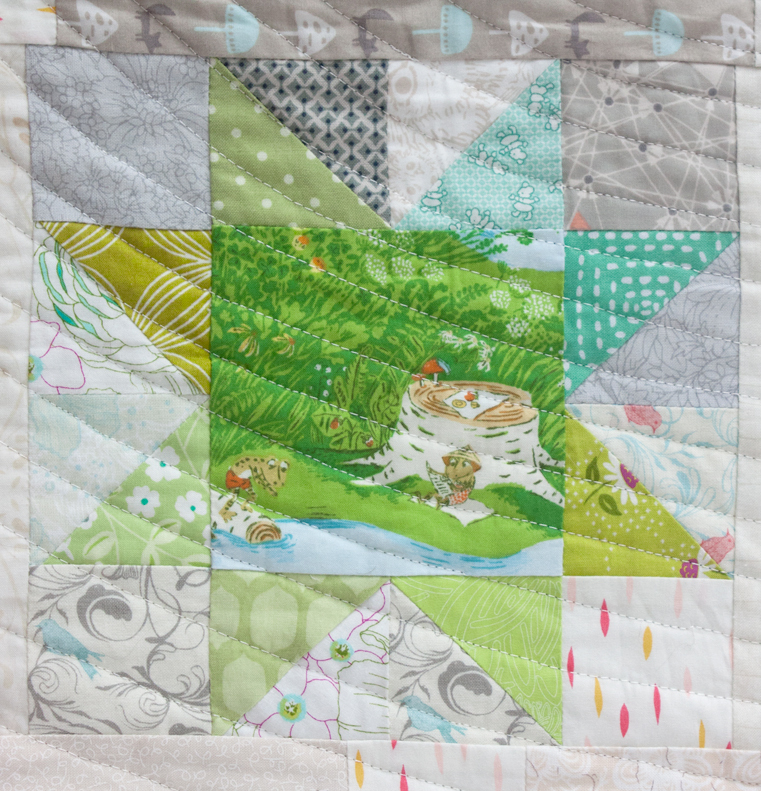 6) Think about how you want to quilt your project before you use a scrap. 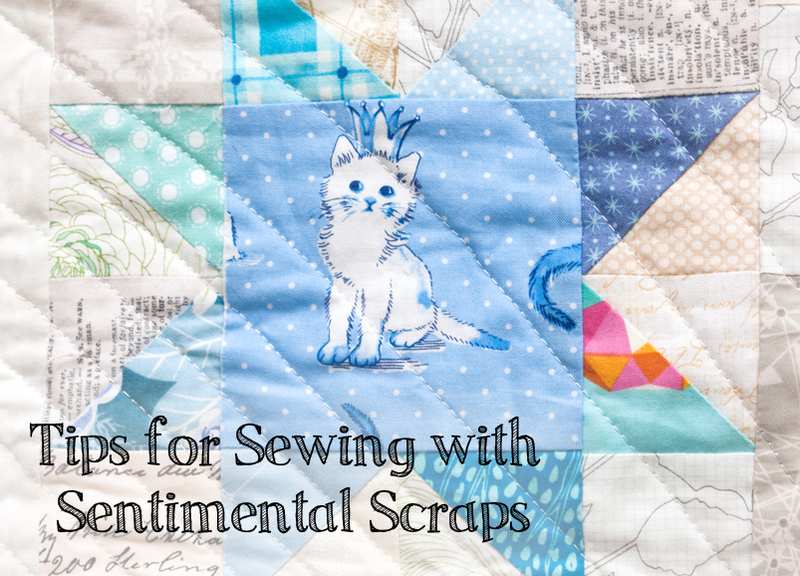 If you are going to be doing dense or elaborate quilting, you may want to save your scraps for a different project. 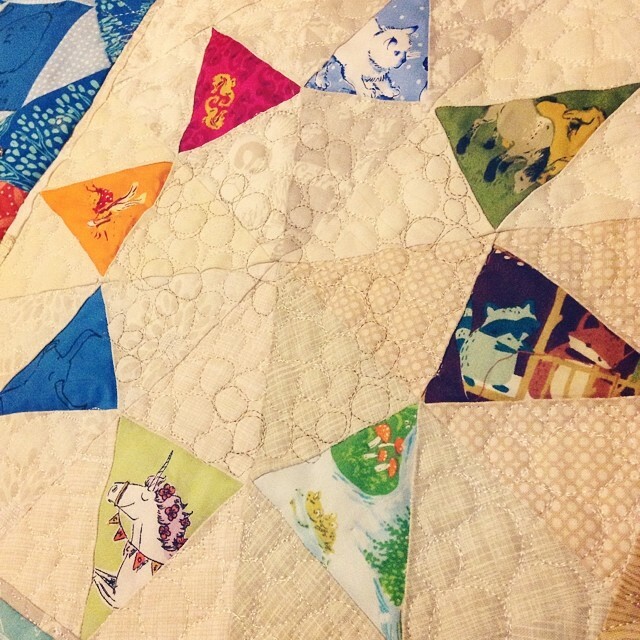 Too much quilting over a scrap may detract from it’s appeal or compete with it. I like to keep my quilting simple so my scraps shine. ...but I ripped them out and went for a spiral. Yes! I totally get that. A couple of years ago we cleaned out my grandparent's house. They were neat, tidy people but they kept EVERYTHING that ever acquired. I remind myself of their super-packed closets whenever I feel the urge to "save" pieces.